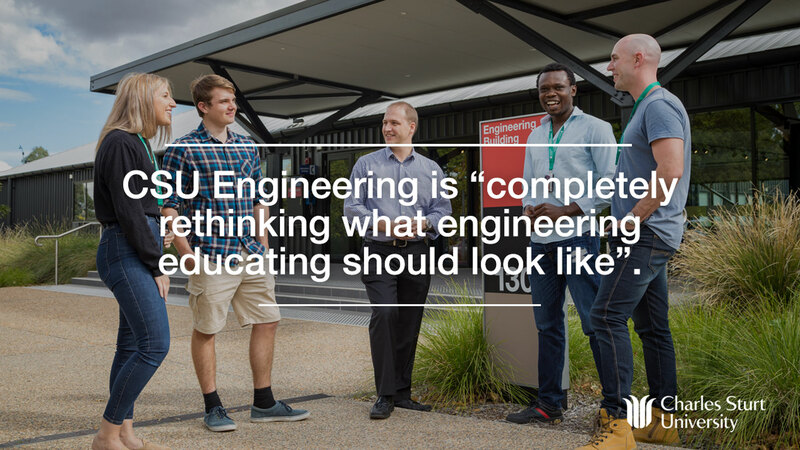 A recent report from the Massachusetts Institute of Technology (MIT) recognizes Charles Sturt University (CSU) among the top four emerging leaders in engineering education. Self-directed, online learning delivered through the CSU Engineering Topic Tree, powered by Realizeit, is a core element of the program, based in southeastern Australia. In the five-and-a-half year joint bachelor’s and master’s program, students move through two phases: they begin with 18 months of on-campus, project-based work and move to a series of four paid, 12-month work placements over the next four years. Learn more about CSU Engineering’s innovative approach in the full MIT report case study summary on p. 24-25 and the full case study on p. 116 in (with details on the topic tree on p. 132). See the CSU Engineering Topic Tree and hear from CSU Foundation Professor of Engineering Euan Lindsay how it works and how students leverage it in the program in this video.